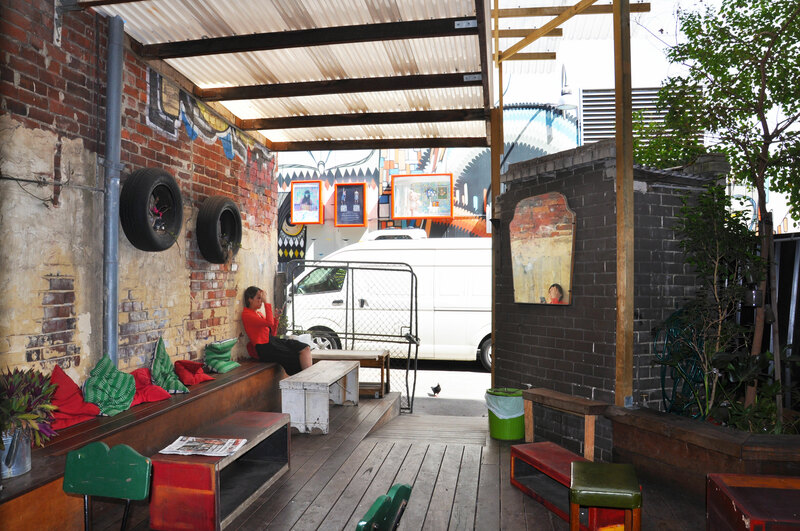 Toastface Grillah, owned and run by Mike O’Hanlon, is a hip laneway cafe nestled in Grand Lane in the heart of bustling Perth CBD. The concept of setting up a cafe offering tempting varieties of cheese toasties, prune upon him, after a night out with his mates. For all cheese lovers keen to try out an adventurous array of sumptuous toasted sandwiches, head over to this hidden gem and you will not be disappointed. 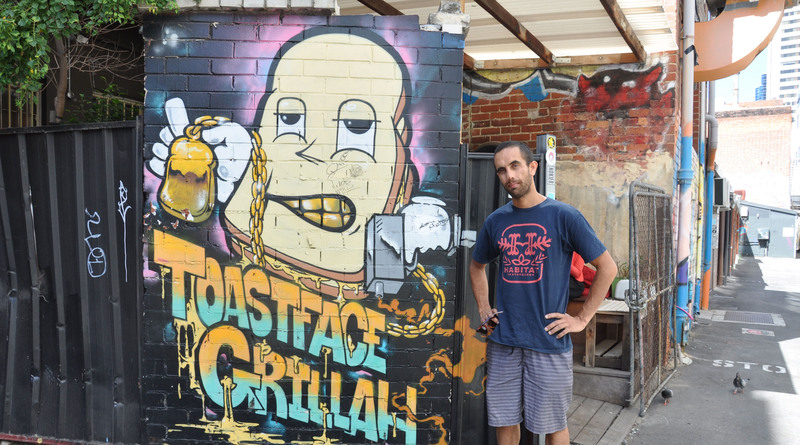 Toastface Grillah serves gourmet grilled cheese sandwiches with a unique twist. The chef has created a relish selection of toasties ranging from savoury to sweet, to tantalise every palate. Mike’s signature dish is the popular ‘Ol’ Faithful’ which is a delectable concoction of smoked ham smothered in cheddar cheese and sweet pickle relish set on multigrain bread, toasted to perfection. My personal favourite is the ‘Steak is High’ toasty, tender slow cooked beef on a bed of grilled marinated capsicum and onion, topped with cheddar cheese and barbecue sauce. Sinfully delicious! The ambience of this cozy cafe lies in its backyard-summer feel, with the exposed brick walls and throw-on cushions, offering tons of character. What could be more invigorating than enjoying a cool, refreshing drink or icy-pole with a one-of-a-kind grilled cheese toasty, in the beautiful Australian summer breeze, accompanied by chilled music? 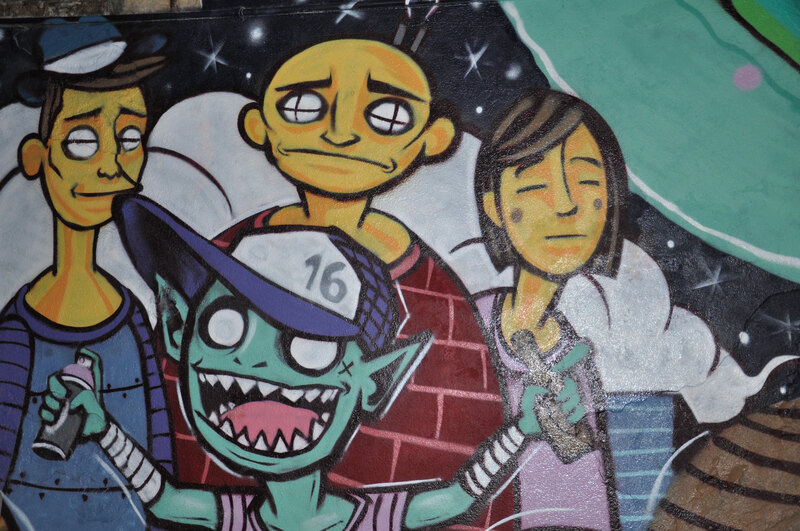 The colourful images sprayed across the walls, gives one a new found appreciation for graffiti and wall art. This quaint laneway cafe is set on delivering quality food to its customers, while at the same time creating an enjoyable dining experience with the help of friendly staff. It is an excellent choice for a quick lunch getaway from work or from a hectic shopping spree. Just remember, it is never too early for cheese! Don't forget to check them out on Facebook and Instagram! Toastface Grillah is located in Grand Lane, Perth CBD and open Monday to Friday 7am to 4pm, Saturday 9am to 4pm and Sunday 9am to 3pm. Part UWA student part Perth explorer. Catching the explorer bug since she lived in Mumbai, Singapore and now Perth, where she has called home for the past 5 years, Kimberly is a self-confessed foodie. Watch this space as Kimberly seeks out the various cuisines, unique stores and plenty of Perth places to discover that are truly different to the rest.